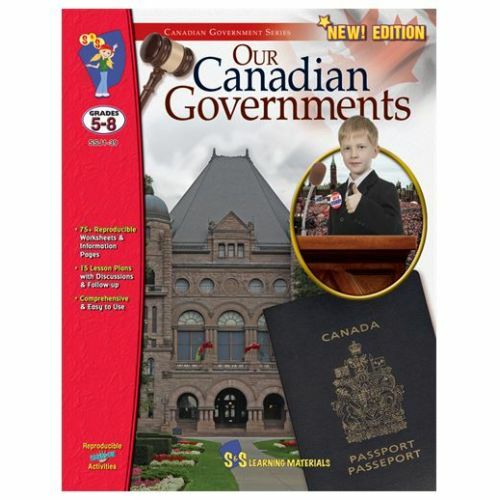 Here is everything you need to teach your students about Canada's governments. Introduce the unit with a fable that provides insight into the need for good and fair government, and progress through a comprehensive study of government in Canada. Twenty-two lesson plans and more than 75 reproducible worksheets and information pages may be used in any order to suite the unique needs of your classroom. Topics include: Federal, provincial and territorial governments, How the three levels of government function and interact, The electoral process, How a bill becomes a law, Constitution and charter of rights and freedoms, Immigration and becoming a Canadian citizen. Grades 5-8. Paperback.